The most sublime thing that’s ever been sung in a pub. Fact. I don’t know about you, but my head is still lost in the world of the Franco-Flemish masters, following Monday evening’s PDtP special. Pretty much every piece proved to be a hit right from the start, from the proto-chorale of Isaac‘s Innsbruck, ich muss dich lassen all the way through to the bliss-injected Long temps mon cueur by Manchicourt at the end of the evening. In between we enjoyed some belters thanks to Arcadelt (Voi ve n’andat’al cielo), Lassus (Justorum animae) and Clemens non Papa (Vidi Jerusalem), as well as more challenging (but rewarding) fare in the form of Gombert‘s 6-part reimagining of Mille regretz and Josquin‘s Tu solus facis mirabilia. However, it was Josquin’s O benigna (aka Inviolata, integra et castiga Part 3) that stole the show for me. The final run-through was utterly sublime, and I actually found it quite moving that a group of scratch singers could make something so intricate sound so ravishingly beautiful in such a short amount of time. It really was one of those moments that made me realise why I love this crazy project so much. The most sublime bars in the most sublime work. Basically, it’s sublimeness squared. @PubPolyphony Lovely piece by that Joaquin geezer. We want more des Prez! Thanks once again to all who came and made it such a great night. Thanks, too to everyone who came to January’s Counterpint at the Canbury last week. We had a great turn-out despite the weather and enjoyed some of the many hits from previous PDtP sessions. Thanks @Counterpint – loved it, especially the Zielinski. I’m also very grateful to Dan Hayes for helping out during part 2. The next PDtP session will be Monday March 6th and before that we’ll be holding a Counterpint in the Cafe session on February 28th; booking details for both will go out sometime next week, alongside a confirmed date for our next Counterpint at the Canbury session. 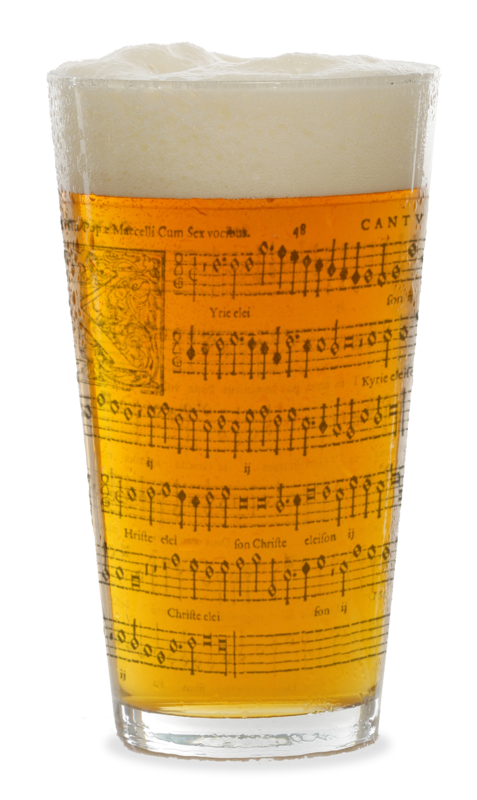 On February 18th, the Music Sales Group are launching the new Novello Book of Hymns with a night of beer and hymn-singing at All Saints Church, Fulham; details can be found on the Facebook event page. Music as Therapy International are putting on a fund-raising Come & Sing Messiah on March 11th, with former King’s Singer Jeremy Jackman directing. We sold one of the Novello hymn books today …looks really good collection!